I am thrilled to hear people say they want to get started with sewing! Sometimes it feels like it's a dying art, but Pinterest has really opened some wonderful avenues for crafting inspiration! The question I often hear online is, "What sewing machine should I get? Is this a good one?" My first question is, "What do you want to accomplish? Are you sewing garments, home decorating, quilting?" To me, it all depends on what you want to do. And how much you want to spend. From what I've seen, the Brother models available through places like Walmart are very popular. They're a mid-priced machine for someone looking to spend a little money but not break the bank who might be just starting out. However, I'm not sure how great it is when you need technical support or repairs done. Often many ladies in sewing forums or through Facebook groups have advice to offer on using them and what they think. • Find out what you want to use it for. If you're getting into quilting, you may want something that offers more stitch options. If you're doing more garment sewing, something with a buttonhole feature - either manual or automatic - might work best for you. • How much do you want to spend? There are some great used ones that often go for a song, and even if you factor in repairs and tune ups wouldn't cost you that much to get started. • Ask questions and then read reviews. Ultimately it will probably come down to personal preference and what a person is used to. 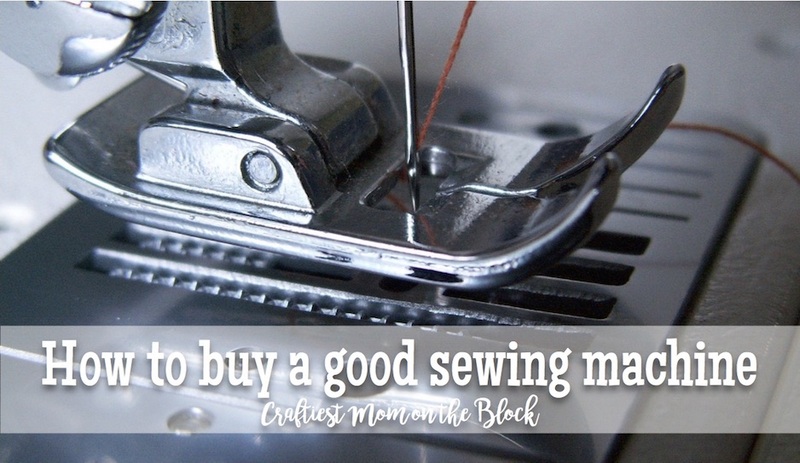 When I bought mine, I had only really sewn with Singer sewing machines and was ready to spend some money and get something a little more sophisticated. After much research, my personal preference is Pfaff, but someone else's might be Bernina or Janome. If you go to a repair shop or dealer, you will be able to try out the machine first, something you can't do as easily when ordering online. • Look in thrift stores or garage sales. Even a repair shop probably has several great models for less that are used but still work great. The dealer can tell you something about them, knows about their strengths and weaknesses and can repair them. Plus they are more likely to be worth repairing should something go wrong. 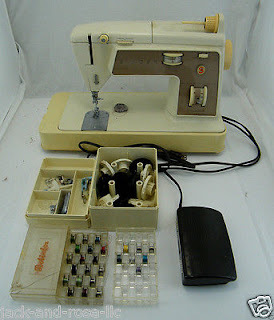 I have seen several old Singer Touch 'n Sew models (a terrific machine for a beginner!) like the one I learned on, and if there's a problem you can either opt to get it fixed or chuck it since you didn't invest that much in it to begin with (I think I spent $7 on the last one). • Avoid toy sewing machines. I've seen these at places like Target (I think my mom even bought me one one time, for some reason) and while it seems good for a kid starting out, I can see where it would be frustrating and end up in the donation pile pretty quickly. Find a relative with one they're not using to teach your child a few basics and see how they like it. Otherwise, if they decide to continue, I'd suggest looking for one at one of the thriftier options mentioned above. • Some newer machines are partially or fully computerized, which can lead to more costly tune ups and repairs. If you're willing to commit to that, go for it. If not, you may want to stick with an older machine. I hear from many dealers that newer Singers are more plastic than metal like the old workhorses, but again, that is up to you, your personal preference, and what you want to use it for. I have been sewing since I was about 9 years old. I mostly do garment sewing and home dec, with a little quilting thrown in for good measure. I've scrapbooked, do my own Christmas ornaments, and have a passion for photography, writing, garage sales and antiquing. 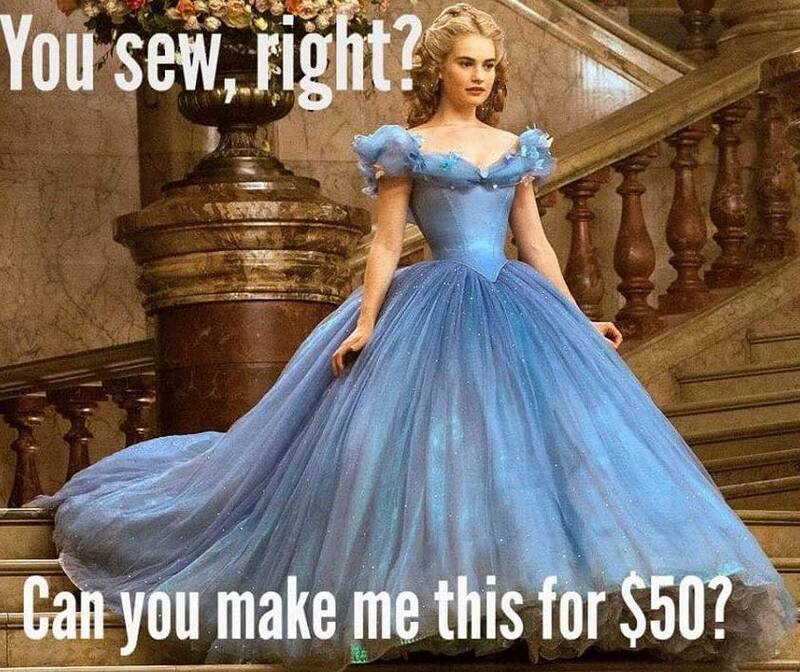 But whenever I try to share my love of sewing and all things crafty, I hear "You must be Martha Stewart!" or "You're such a good mom! ", which leaves me wondering if I'm either completely nuts or just the Craftiest Mom on the Block. Who Might be Reading This?